All information pertaining to the order will be kept strictly confidential. We will not give out information to anyone to preserve your privacy. All orders are shipped out in discreet packaging. Monday - Friday orders shipped same day if order complete by 3PM PST / 6PM EST. Saturday orders complete before 12PM PST / 3PM EST ship on same day. Sunday orders ship on Monday. 100% money back guarantee if not absolutely satisfied! Our motto is just as your local store: We want ALL of our customers to be happy. 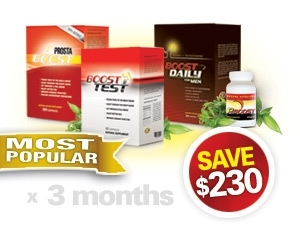 The regular users of P-Boost.com come back on a regular basis and purchase their favorite products with the assurance that the customer service, discreetness, and delivery of the product will be one of the quickest in the industry . You will not find anyone that could say a bad thing about our company or product. Any of the above statements can be verified by you just by testing us out. We look forward to you enjoying our product and becoming a long time happy customer!